Serhij Zhadan was born in 1974 in Starobilsk, an industrial town in eastern Ukraine. He majored in German and Ukrainian studies in Kharkiv, and completed his doctorate with a dissertation on Ukrainian Futurism. He then was a lecturer of literary studies for four years before deciding to become a freelance writer and translator. Zhadan, who has published eight collections of poetry and eight volumes of prose, is considered one of Ukraine’s most popular authors. He began to write during the era of political upheavals in the Soviet Union: »Our home was the Literature Museum, around which a kind of punk commune of Kharkiv dropouts had formed. I was sleeping in the museum back then, and that’s also where I began to write.« Zhadan’s work is determined by a morbid romanticism and defiant optimism typical of our time. In his most famous collection of poems, »Istorija kul’tury pocatku stolittja« (2003, tr. The history of culture at the turn of the century), he uses radical and yet sensitive language to poeticize his lack of orientation in a post-Socialist society. In Zhadan’s novels »Depeš Mod« (2004; tr. Depeche Mode) – the author’s first stab at a sizeable book of prose – and the travelogue »Anarchy in the UKR« (2005) the characters also get lost in the chaotic web of anarchic social and economic structures, as well as in the labyrinth of their own desires and dreams. Zhadan’s latest prose work, »Himn demokratycnoi molodi« (2006, tr. The hymn of democratic youth) is made up of six stories that present different representatives of this generation of »lost« young Ukrainians, such as San Santysch, a socio-critical wrestler with a high school degree, and Goga, a veteran of the Chechen War who dreams of owning a bar. The two open the town’s first gay club together – a business idea that, like so much else, seems doomed to fail. 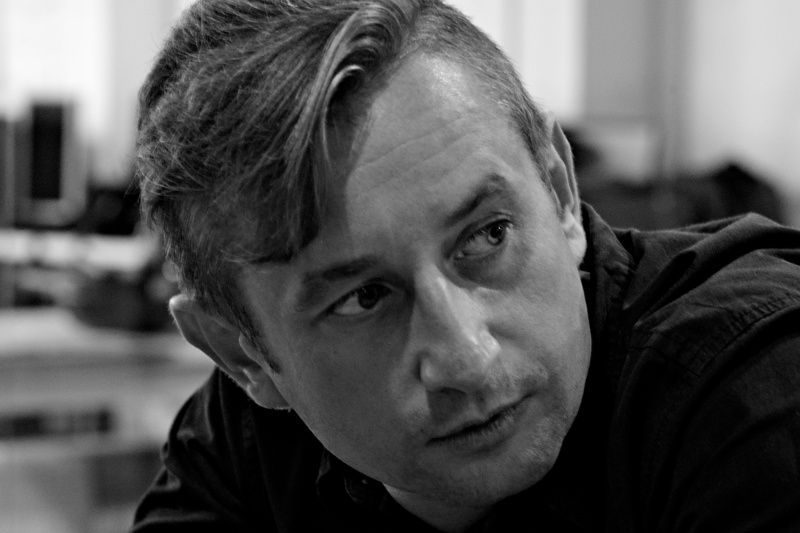 In 2014 Zhadan published »Mesopotamia«, a collection of nine stories about different characters’ search for meaning, whose themes in life are revisited in the thirty poems in the second half of the book. That very same year he received the Brücke Berlin Prize for »Vorošilovgrad« (2010; Eng. »The Invention of Jazz in Donbass«, 2014). Zhadan’s most recent work, »Warum ich nicht im Netz bin« (2016; tr. Why I’m not on the net), is a compilation of snapshots and short stories detailing his experiences in war-affected eastern Ukraine. 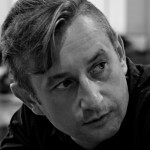 Aside from his literary work, Serhiy Zhadan also organizes music, literature and poetry festivals, writes song lyrics and sings in his band, Sobaki v Kosmosi (tr. Dogs in Space), with which he traveled to the Donbass several times in 2014 and 2015 to give concerts and to distribute relief supplies. In 2006 he received the Hubert Burda Prize for young Eastern European poets. He lives in Kharkiv.